March isn’t just the month I where the snow starts to melt (yay), oozing into my basement in long streams of water (boo). Only to start snowing again and then melting again, March is the month of spring foolery. No, March is also the month of National Reading! 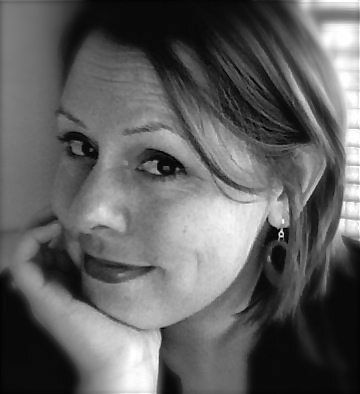 Last year’s National Reading Month coincided with The Cat In The Hat’s 50th birthday and I wrote about it then. She’s now following in my foot steps, this weekend we visited the Juniper family to see their new baby and Madison spent about an hour of our visit reading books to Juniper. This year I’d like to share five of our current favorite books, in the hopes you find a few you may not have heard of before. Please note, although these are favorites of my children, no Spongebob Squarepants or Littlest Pet Shop “storybooks” have made my list. Mind Your Manners B.B. Wolf is the latest book illustrated by J. Otto Seibold the illustrator of our family’s beloved Mr. Lunch series. Big Bad Wolf is invited to a storytime tea at his local library. 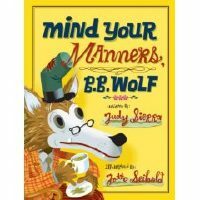 He is unsure about attending until he hears about the cookies, a crash course in etiquette follows and a story of mixed up manners and appearance by several favorite storybook characters is the result. 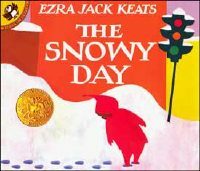 The Snowy Day has been a favorite of my daughter’s since she was a three-year-old. Every time I try to give away our copy, it’s meant for baby-to-preschool-aged-kid, she can’t bear to part with it. I can’t blame her, I love the collage and watercolor illustrations and the simple story. I’m sharing it with you in case you have a young child and have yet to hear of it. In the same way the classic, Blueberries For Sal was a surprising hit when my daughter was a preschooler. 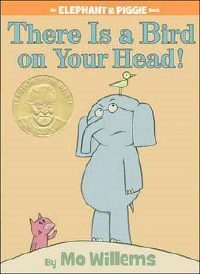 There is a Bird on Your Head is a great book for new-ish readers by Mo Willems and the 2008 Geisel Award winner. I mostly love the book description: “….Gerald discovers that there is something worse than a bird on your head- two birds on your head!” My son’s answer to that, “I can think of something even worse than two birds on your head. Two birds POOPING on your head!” Which is potty humor I know, but have you ever gotten bird poop on your head? I’d rather have a bird or two on my head. First The Egg came home from the library with my son and I’m always thrilled when a book comes home from the library which is not just a list of facts about sharks or Transformers. I’m glad he’s reading, of course, but I don’t find this kind of reading very entertaining. 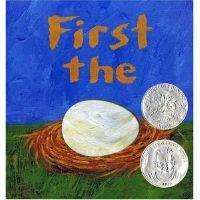 This book won this year’s Caldecott award and is a well told story about how things change, from eggs to chickens and seeds to flowers. Another Mo Willems book with staying power in our house has been the Knuffle Bunny series. 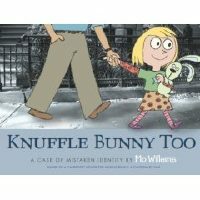 Knuffle Bunny Too, A Case Of Mistaken Identity, is the latest in our collection. Knuffle Bunny goes to school with Trixie who discovers another kid has her own Knuffle Bunny, a doppelganger! With the black and white photos of New York and cartoon style art this book is fun to look at and hilariously written. Do you have a current favorite book for the under eight set? Leave it in the comments if you feel like sharing. I can think of 3 right off the bat. “When You Were Small” is a great father-son book, sweet story and illustrations. “Chicka Chicka Boom Boom” is so much fun to say. And “Click Clack Moo” is amusing. My four year olds also prefers books about Trucks… not story books, but how they are built, lots of real pics, etc. But his best gift ever was “Cars and Trucks and things that Go” by Richard Scary. It’s got plenty of truck pictures for him and a fun story to go along for me! 1) “The Little Engine that Could,” which has been re-illustrated with some gorgeous oils. My kids love the “I think I can, I think I can, I think I can” refrain that I’ll hear them saying it long after the book is put away. My son and daughter, 3 and 4, LOVE LOVE the Sock Monkey books by Cece Bell. Luckily I like reading them, too, even on the 6th and 7th go around for the day. Perhaps you should tell your daughter about the Great Shepherd Shortage and the time that the Irish were persecuted and boiled alive (or, more kid friendly always in “hot water”) and how Shepherd’s Pie and Irish Stew were developed to commemorate that dark, dark period in Irish history. Uh.. yeah, that was supposed to go under the post about St. Patrick’s Day.